Spaces are filling up fast! Hello, and welcome, we hope to see you join our community soon! Our world is about two months old now, but you wouldn't think it was so young if you saw it yourself! Hard Survival world with a focus on building and expanding our empire! Cooperative play, building, and adventuring. This is the world for you if you like to enjoy the Minecraft universe as it is. 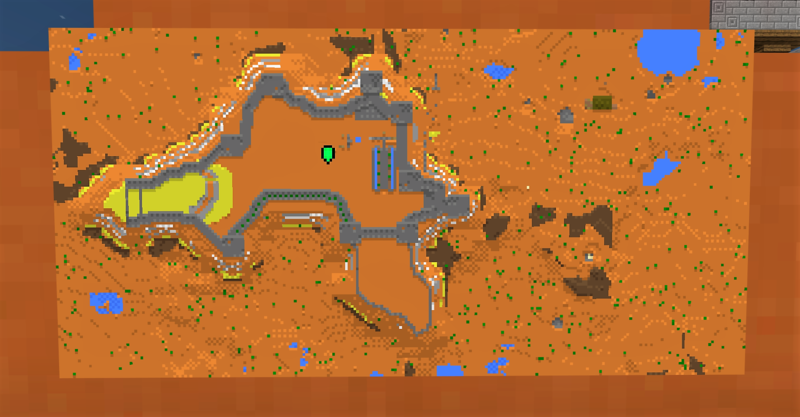 Currently working on a giant castle atop a plateau in a mesa biome (pictured below), and many other members have other awesome projects of their own. Our empire is getting bigger by the day, and we have so many more things to build, projects to complete, and ideas/plans to initiate! There's always something to do here. We pretty much just build and adventure; our main goal is to connect all of our bases/structures to create a sprawling empire. In the meantime, we're building those bases and structures all over, wherever we see fit! If you want to start your own village/town/city/empire, that would be awesome too; maybe we could set up trade routes or something fun and RPG-y like that! So far, everyone has been working on their own projects, and everyone also goes around helping people. Sometimes we go to help other people because our own projects can get a bit daunting sometimes. If you like Hard mode, making epic builds, working in and for the community, adventuring, and you want to see a truly astounding seed, then this is the Minecraft Realm you've been looking for. Note: We are NOT using any resource packs, behavior packs, or texture packs. 1. Be respectful and respectable. Easy. 2. No cheating. Also easy. 3. No griefing/stealing. Even easier. 4. There is a bug that replaces everyone's items when feeding and taming animals. Until this gets patched, always warn everyone if you are going to feed/tame. Everyone will empty their 9th hot bar slot, and you will only feed/tame animals from your 9th hot bar slot. This will make everyone get exactly what you have in your 9th slot placed into their own 9th slot (which should be empty) and avoid losing an item. Complicated, but easy. 5. In regards to Rule 4, when you leave the Realm, empty your 9th slot. (I've had a minecart replaced with 17 wheat even when I was offline). Super easy, just remember, or don't leave anything you really like there. Discord is our main mode of audio communication! PM me for my tag. Highly active players are put at the top of the list. Can people see my map when I'm on and join or do I have to send them an invite? Slots are filling up fast! If this gets full, I'm paying for this Realm, so make yourself known!!! Why you want to join: I'm fairly new to the game. Started playing with my nephew. 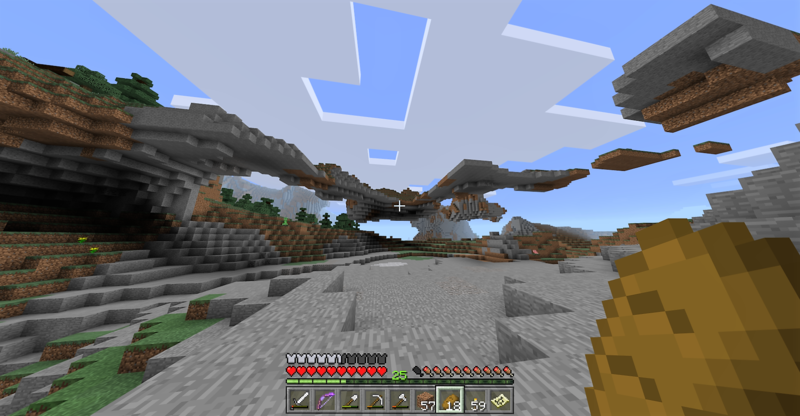 But for the most part I just play my survival world myself. I have pretty much streched that to the limits and would like to take it to a server. How you'd contribute: I can contribute in anyway needed. I'm sure I will do more than enough for my part. Skills/Specialties: I maybe newer than most to the game. But I definitely understand the basics more than most I have talked to. I have easily built anything I have tried with red stone and understand how to use it. I have also built some decent buildings and a pretty awesome tower. But have to say I haven't put much effort into anything that was very challenging yet. I have my barn/workshop and just live in that anyway. So my objective many days is just to rearrange and cram all the redstone into that possible. I have captured most mobs including a ghast (Normal difficultly). Im not sure how many people are into catching mobs. But I like the challenging of stuff like that. Actually I have never seen anyone else catch a ghast and cage it in the regular world alone or on MCPE. Though I'm sure others must have. I could help out where I'm needed. So id be a floater. How long you've been playing Minecraft: 2-3 years? Skills/Specialties: I can help people mine? but I specialize in grinding for materials as in i spend most of my time basically farming/mining and improving the base. How long you've been playing Minecraft: Off and on for about six months now? I play in bursts. How often you play: Just got mcpe so probably pretty often. Why you want to join: I want to join to play with other people. There really isn't much to it. How you'd contribute: I dunno, I guess by just being nice in the community? Skills/Specialties: I am unsure of my skills on this platform. How you'd contribute: Always good to meet new people and work together, I'd love to help out where I can. Skills/Specialties: Building into terrain, shops of all kinds, adventuring, collecting villagers for unspeakable things, etc.